Technology can be put to good use when you want to get a property. It is not out of place to go for Infrared Inspections on Long Island before you commit to any project. There are Safety, Water and Electrical issues that can only be uncovered through the use of Infrared. The standard check-lists may not suffice because we have continued to see new discoveries that are opening a new paradigm to everyone. An Infrared technology scan can be carried out so that you get maximum comfort in any property that you want. One of the best ways to begin is to look at the benefits that you can derive. You can use this non-invasive option to scrutinize the areas of a property that may require a touch up or reconstruction. The traditional evaluation methods are limited. There is a strong need for Infrared Inspections specifically around our Long Island office. 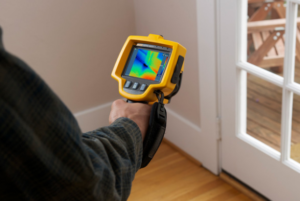 You can discover more topics necessary for inspections but for this article we are focusing on Infrared and thermal imaging. This is the reason why the things that held true a few years back would not pan out in the right light today. The Interior walls, Ceiling, underneath decks and other parts of a property that are hidden to the traditional method would be uncovered with infrared. It is a worthy alternative that can also track issues that relate to Roof and Plumbing leaks, Energy loss, etc. It pays to invest in this scan because the results are worth it. The thorough nature of the Infrared scan system means that you can enjoy more economic advantage. You do not need to get yourself worked up after you purchase a property and discover things that you need to repair. It aids your decision-making and gives you a better pedestal to carry out your negotiations. There are many dynamics that come into the workings of each property. Most property issues cannot be discovered even with the most meticulous search. It takes something extra to be able to pin the areas that may constitute a challenge in the future. Infrared tidies up the loose ends. A run through of some the things that can accrue to you with the use of Infrared needs to be made. It can reduce the chances of any unforeseen challenge coming up, it can help you economically and it can put you on a strong foot when negotiating your deal for your Long Island residence. The way to go about any project is to find out the returns you get on your investment. Infrared scan pays back in multiples from whatever it took you to make use of it. This is a good move for those who do not want to give room for errors. Most of the people who know how to work with the Infrared have many positive comments to give based on its efficacy. In order not to infringe on any issue that may accrue when you have progressed on a property deal; it is wise to introduce infrared from the beginning. The various dynamics that play out in Long Island should not put you in a fix or take you by surprise. By working with the infrared, you are miles ahead of most individuals who are involved in this industry. This is why taking your stand with each Property only after an Infrared scan imaging has been done remains your best bet.